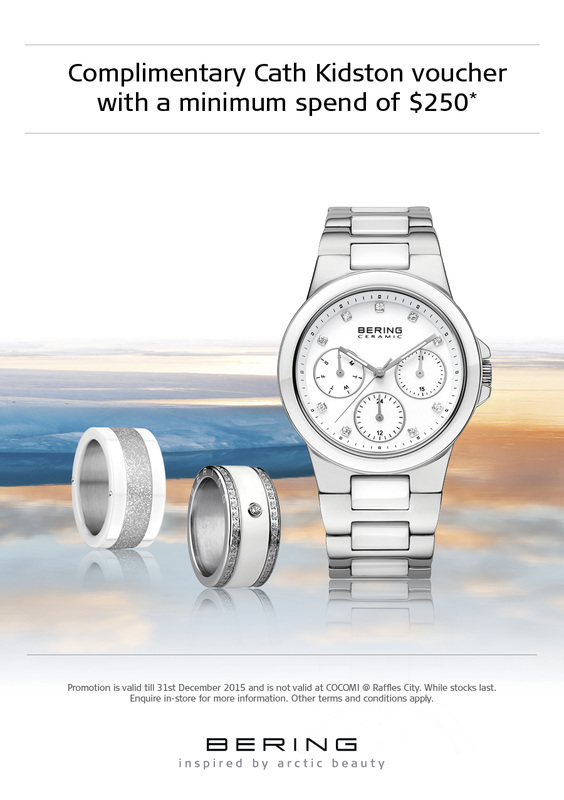 Visit us at BERING to enjoy an exclusive joint collaboration offer! Spend $250 and receive a complimentary Cath Kidston voucher for your next purchase. Promotion is valid till 31st December 2015 and is not valid at COCOMI @ Raffles City. While stocks last. Enquire in-store for more information. Other terms and conditions apply.